Using the Wingstop Delivery services is very easy. The Wingstop delivery service is broadly considered a successful enterprise. Revamping the ‘30s pre-jet aviation team, the chain of restaurant is specialized in chicken wings recipes. Among the most popular are the Atomic, Cajun, and the Hickory Smoked Barbeque. 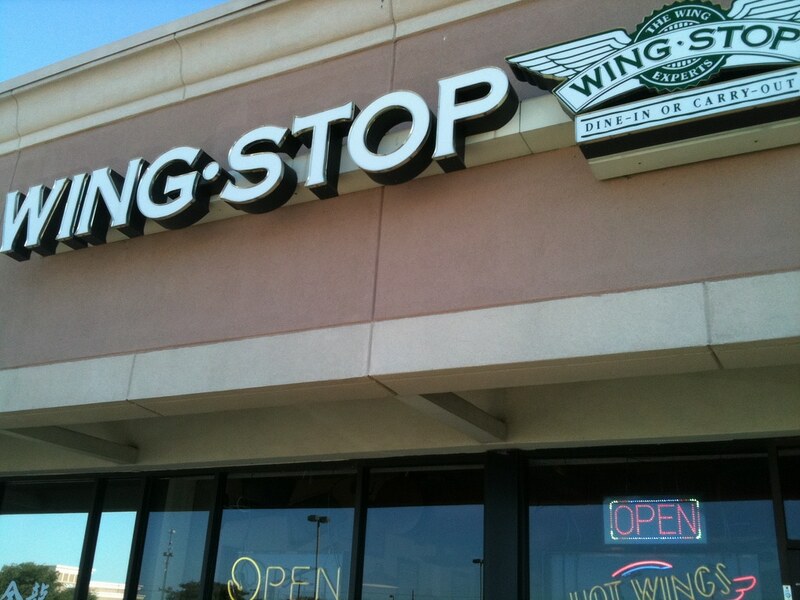 Wingstop has diners opened in 39 locations over the US, several in Mexico, five location in Jakarta and a few in Russia. This articles will show you how you can order a delicious menu of hot spicy chicken wings from the comfort of your own homes. Although the restaurants have a 1930 inspired theme, the franchise was born in 1994, in Garland, Texas, acquired by Gemini Investors back in 2003, and sold again to Roark Capital Group 7 years later. Did you know by 2002, the Wingstop franchise managed to serve more than one billion chicken wings and that the locale has more than ten distinct flavors? Nowadays, the Wingstop franchise, has over 800 restaurants opened all over the world, including in Russia and even in Asia. Unfortunately, European support is somewhat limited, chicken enthusiasts having to travel as far as Rostov and Moscow to enjoy a dish of mouth-watering chicken wings or boneless strips. After Wingstop has seen that the business is growing, it began to offer franchise opportunities to entrepreneurs all over the world. If you have an idea for a franchise, you can always submit your Wingstop project by accessing the “Own a Wingstop” on the company’s official website. Just remember that there are limited market opportunities and your plan must be top-notch to be approved by the management. Ordering your favorite chicken menu to your front door is very easy, and Wingstop’s official website can assist you in this matter. The first thing you need to do to start ordering from Wingstop’ site is to create an account. This process takes about 2 or 3 minutes, and you even have the possibility of signing in with Facebook or with your Google account. After creating your account, the site will ask for billing and location information. Note that long distances can be billed differently than short distances. Furthermore, keep in mind that there may be some areas where Wingstop can’t deliver. Foodpanda.com has some additional info about Wingstop. According to the delivery info posted in the Wingstop section, it would appear that on bad weather days (rain or heavy snow), all shipments can be delayed by half an hour. To access Wingstop’s menu, input either the name of the city you’re living in or your zip code. A Wingstop restaurant’s interior is inspired by the ’30s pre-aviation diners theme. If you’re residing in Dallas, but don’t know the zip code, just type in “Dallas” and the site will show you a list containing the location of all Wingstop restaurants. According to this list, there are 50 Wingstop restaurants in Dallas, each of them being arranged according to their driving distances. So, when ordering your menu, first look at the distance of each restaurant (using geotags, the site can calculate each diner’s position relative to your own) and see which one is closer to you. 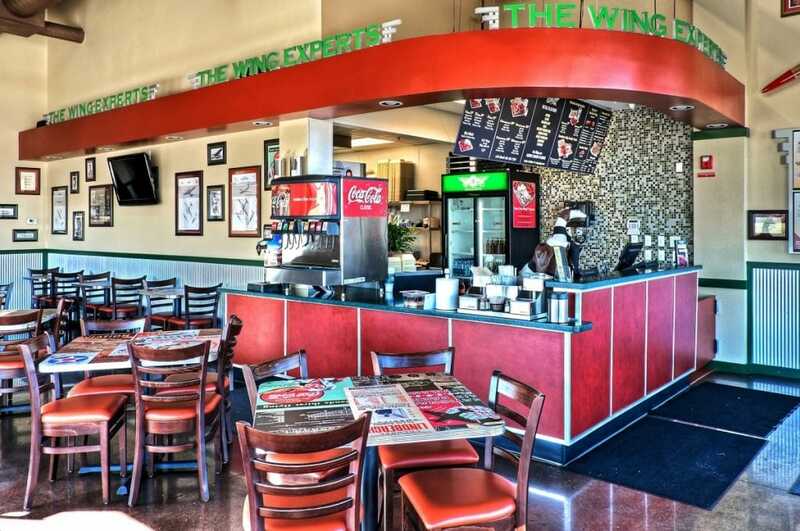 The Wingstop franchise has three broad categories of menus: wing combos, which include boneless of classic chicken, a dipping sauce and a 20oz drink of choice, wing family packs, and wings by the piece. Although their official site does not mention anything about delivery fees, on foodpanda.com, we have discovered a couple of user reviews. Most of them are benign, saying that Wingstop’s sauces are great, and the delivery system never fails, but we also stumbled upon additional information. For example, even though the site never mentions a minimum order, on foodpanda, Wingstop posted that the customer must make a 15 dollar minimum order. Furthermore, the customer must also pay a delivery fee of 6 dollars and. Unfortunately, this feed does not depend on the subtotal of the order. This means that you can order 200 dollars worth of chicken wings, and you will still have to pay 6 dollars for the order. Concerning the estimated time, both food panda and Wingstop’s official website state that the estimated time of arrival can be somewhere around 30 minutes. Chicago, “city of the big shoulders” as Carl Sandburg would put it, hosts several Wingstop diners. Depending on your location in the Windy City, there are 45 Wingstop restaurants where you can place your order. Of course, Wingstop has several participating locations and websites, foodpanda included. The process is the same as in the case of Dallas. Just pick the diner nearest to your location and hit the “Order” button. You can also use the “show the map button”, located in the upper-right corner of the city page list, to see which restaurant is closer to your location. The same terms and taxes will apply for ordering in Chicago. Wingstop also offers customers the opportunity of creating their very own food club. This means that users can tell the diner what they want to eat, and the restaurant delivers without the customer having to place an order each time. For example, if you want to eat boneless wings for dinner from Monday to Friday, you can fill in a form, and the Wingstop delivery service will automatically dispatch your order. And it would seem that all clients are taken by the franchise. Most of the comments posted either on their official page or other websites tend to revolve around the delivery service’s promptitude or on the restaurant’s decoration. Everyone keeps saying that the locale has simple decoration, yet impactful. If you want to use the Wingstop delivery service, bear in mind, before you place your order, to double check if the restaurant can deliver to your location. Hey Buddy!, I found this information for you: "All You Need to Know About Wingstop Delivery". Here is the website link: https://all2door.com/need-know-wingstop-delivery/. Thank you.